Hi guys! I've been having such a busy holiday with so many things to do. Due to lack of sleep, I got a bad breakout on my forehead. This rarely happens to me but unfortunately, it did. So while waiting for it to clear up, I decided to do a makeup tutorial that will cover the breakout and is also inspired by the winter season. Wow, you look beautiful! This is such a great idea for a Halloween look! You are definitely a mermaid! This is crazy beautiful! Seriously, so cool. Love this Darling! SO rad!!!! Gorgeous! Your hairpiece is amazing! Wow this is amazing, looking so good! Your makeup is so beautiful!! You look amazing in this makeup. This is beautiful! 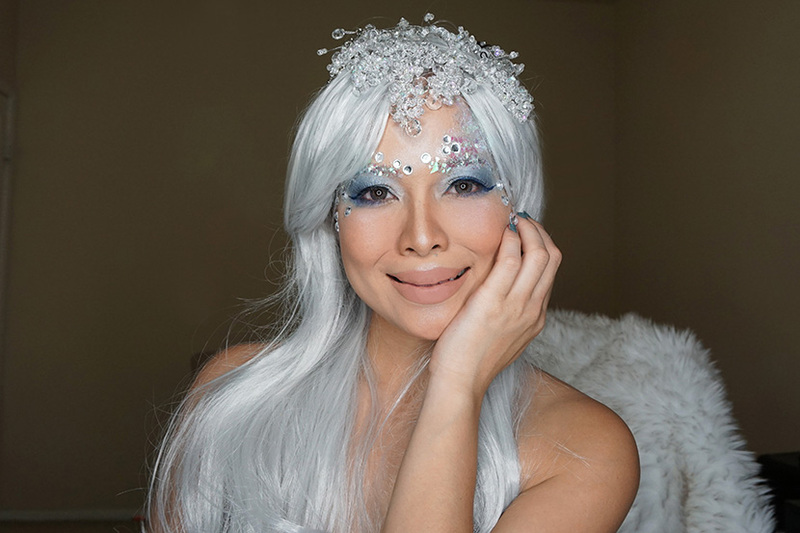 I love how icy and cool the makeup look is. This is so gorgeous!! Definitely want to try. And loveee that headpiece! Happy weekend! love your hair colour so much!! Wow you look gorgeous Cielo! This look is stunning and very dramatic! I'm impressed you made the headpiece yourself. That's incredible! You are so creative Cielo!! Que pasada de maquillaje, me encantaa. Wow, so incredible! Great work and fantastic post! that's really awesome post!! I'm here to find people who are looking best doctors for cosmetic surgery. We are providing best offers and doctors for them.